← The Best Evidence Yet that Kony is in Darfur? 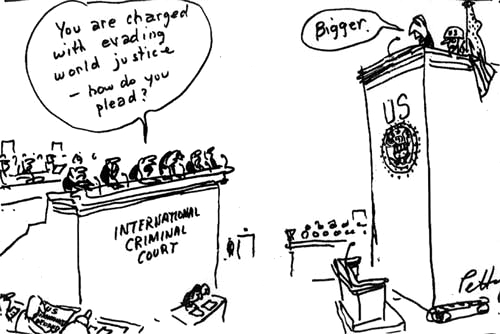 Few issues have captured as much attention in the politics of international criminal justice as the relationship between the International Criminal Court (ICC) and the United States. Indeed, it is ironic that as much, if not more, time has been spent on examining the relationship between a non-state party (the US) and the ICC than on the Court’s relationship with any of its member-states. Regardless, the debate generally breaks down as follows: critics suggest that the ICC is little more than a paper tiger without “the most powerful state on the planet”, while proponents respond that, despite the fact that the US is not a member-state of the ICC, it has been increasingly engaged and cooperative with the Court. It is impossible to deny that the relationship has grown closer over the lifespan of the ICC. But is that necessarily a good thing? Scheffer’s argument is common place – indeed, I have argued precisely the same thing on this blog. The problem, however, is that this argument relies on a narrative which translates any progression in the relationship between the US and the ICC into good progression. The danger is obvious: that the selectivity of the US’s political interests becomes entrenched in the functioning of the ICC itself. Consider three cases in which the US has engaged with the ICC. In northern Uganda, the US declared Joseph Kony and his Lord’s Resistance Army a terrorist group and has subsequently spent millions of dollars to provide non-lethal training to Uganda’s military in order to capture or kill Kony. Most recently, the Obama administration has fervently declared its support for the capture of Kony and sent 100 troops to achieve it. In the case of Darfur, the polar opposite has occurred, despite many ICC advocates suggesting that Darfur is a “good case” in the US-ICC relationship. After abstaining and thus allowing a UN Security Council referral of Sudan to the ICC to pass in 2005, the US has not only done virtually nothing to support the ICC’s investigations and indictments against President Omar al-Bashir and his coterie, it has actively explored avenues which would undermine the mandate of Court. In its attempts to secure a peaceful break-up of North and South Sudan, the US incentivized Khartoum’s “good behaviour” by offering to push for a deferral the ICC’s arrest warrant against Bashir for a year under Article 16 of the Rome Statute. Moreover, when President Bashir travelled internationally in recent years, the US has generally remained silent. When Bashir visited China, for example, the US government refused to voice its support for the ICC’s warrant against him, paying deference to China’s sovereign decision-making instead. Then there is the situation in Libya. The US initially voiced strong and committed support for the ICC’s mandate in Libya, voting in favour (rather than abstaining, as in the case of Sudan) of the Security Council’s referral of Libya to the Court. However, when it became clear that Muammar Gaddafi had zero interest in exile and that regime change was the ultimate end of NATO’s intervention in Libya, the utility of the ICC in pressuring, undermining and isolating the Libyan leadership was evaporated. As a response, the US (as well as most NATO states) have simply abandoned the Court. Incredibly, even when ICC staff members were illegally arrested and detained in Libya, the US remained silent. The common thread running through these cases is the political interests of the US determining its level of support and cooperation with the Court. Where the ICC is useful to the US’s political aims, it is used. When it becomes an obstacle or exhausts its utility, the US administration has not hesitated to not only reduce its engagement but undermine the mandate of the Court. The danger is that this political selectivity could become a structural element of the ICC’s functioning. The Court could become not only reliant on America’s selective cooperation but justify this selectivity because of the palpable and popular belief that the Court simply must continue on the progressive path of bettering its relationship with the US. Attention from the “most powerful state in the world” could easily become an unhealthy addiction. There is, of course, a solution to this dilemma, namely the US signing and ratifying the Rome Statute. After all, as Scheffer hints at in the above quote, the current de facto rather than actual membership of the US “may not be the best possible means to achieve international justice”. Still, ratification seems unlikely to happen. Stephen Rapp, US Ambassador-at-Large for War Crimes Issues, recently suggested that the prospect of America becoming a state party to the Rome Statute remains remote. No one is holding their breath. The reality, then, may be that the ICC has no other option than to continue its current engagement with the US. But it would be wise to tread carefully. Being at the whim of the political interests of the US, especially as a non-state party, could be a recipe for disaster. This entry was posted in Darfur, International Criminal Court (ICC), Justice, Libya, Libya and the ICC, Rome Statute ratifications, Uganda, United States. Bookmark the permalink. Completely agree Mark. I, for one, am very skeptical of the USA’s engagement with the Court. It seems as though the US will only offer ‘support’ to the ICC where it is in their benefit to do so and on the other hand, continue their subtle hostility and undermining of the Court when questions of signing and ratification of the Rome Statute arise. In the Darfur situation, it has been said that the US only abstained from vetoing the decision to refer the situation to the ICC because the Sudan is not an ally, far from it actually. 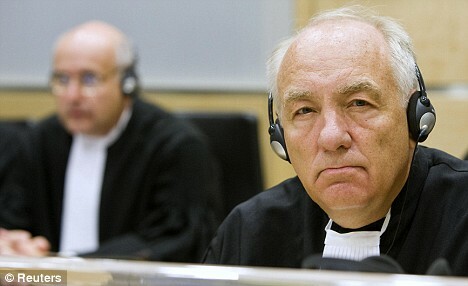 It is also arguable that the call for ICC intervention in this case was an easy way of unburdening the Security Council (whose forces are largely funded by the US) of the so-called ‘Responsibility to Protect’ Sudanese nationals from the atrocities that were undeniably being committed enmasse,. This way there was no pressure to directly(militarily) engage in Sudan, and as the UNSC Resolution stated, there was also no financial obligation on the UNSC members to support the activities of the Court. 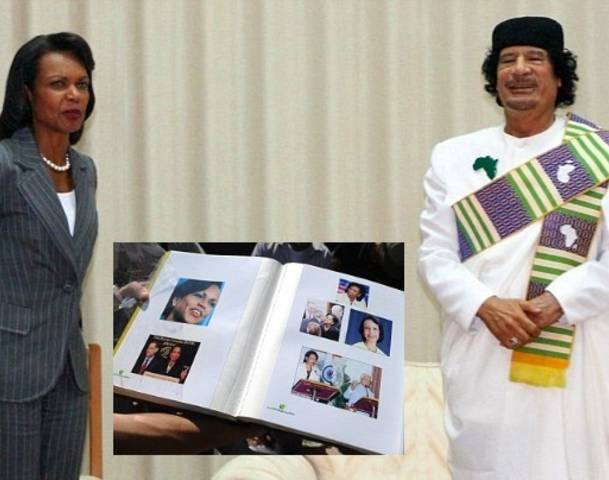 In Libya on the other hand, Gadaffi being one of America’s worst enemies, the US did not refrain from but rather cast a vote seeking referral of the situation to the ICC and further, military intervention by the NATO in Libya. Yet when it comes to actual positive cooperation with the Court in undertaking its mandate, the US shies away. In the end, the Court may end up being used as a symbolic gesture to justify the actions of the US while achieving nothing substantial in terms of International Criminal Justice. Pingback: Africa at LSE – Yes, the ICC is in Crisis. It Always Has Been.